Second baseman out with wrist injury; Pablo Sandoval recalled from AAA. 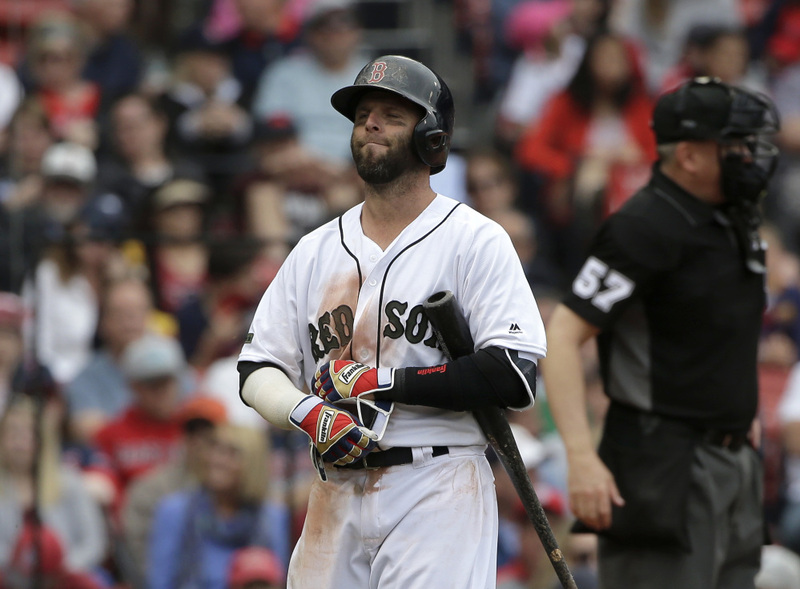 BOSTON — The Boston Red Sox placed second baseman Dustin Pedroia on the 10-day disabled list Tuesday with a sprained left wrist and activated third baseman Pablo Sandoval from the DL. Pedroia was injured when he tumbled over Chicago first baseman Jose Abreu in the first inning of Monday’s 5-4 loss to the White Sox. He returned to Boston for tests and rejoined the team prior to Tuesday’s game. The Red Sox expect him to return at the end of the 10-day period. Abreu looked as if he was going to flip the ball to the pitcher after fielding Pedroia’s grounder. Instead, he held onto the ball and slid feet first into the bag. Pedroia went right over the big first baseman and placed both his hands on the ground to brace for the fall. He played the field in the bottom half but was lifted in the second inning. Pedroia missed three games earlier this season after being spiked in the leg. He also had season-ending surgery on his left wrist in September 2014. The 2008 AL MVP is batting .292 with 21 RBIs. Josh Rutledge and Sandoval will split time at second in his absence, manager John Farrell said.